We are proud of these winning teachers, and very much enjoyed the opportunity to visit on site and surprise teachers and classes in person. The entire process, from review of nominations, selection, and surprise presentation was rewarding for our staff, and gave them an added insight into the needs and challenges of public education today. 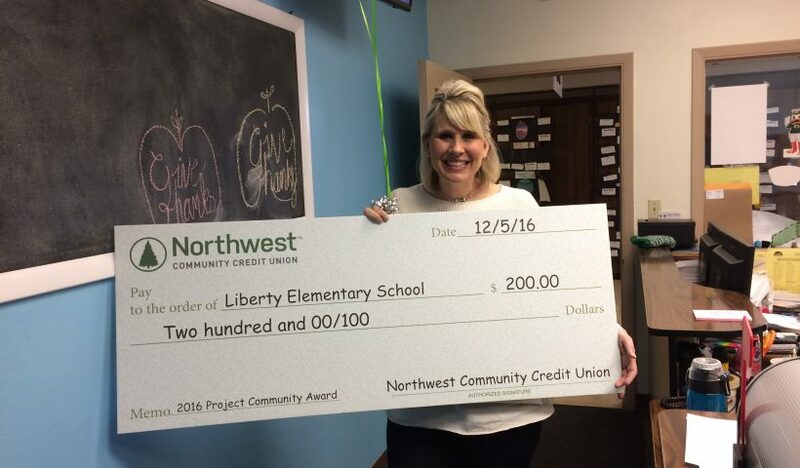 Albany’s district educators were among recipients of Northwest Community Credit Union’s annual educational program awards presentations completed in January, providing 67 Oregon educators funding support for project needs submitted in 2016. 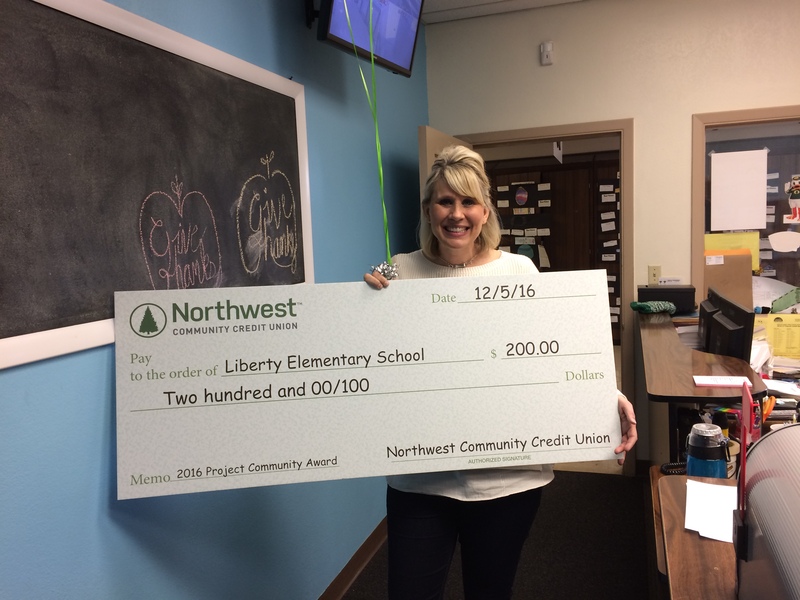 Winners from 48 schools and non-profits in 14 Oregon communities were selected with awards funding totaling $61,000. Calapooia Middle School science teacher Jennifer Hill is using her Project Community funding to purchase LEGO sets for the Robotics club. 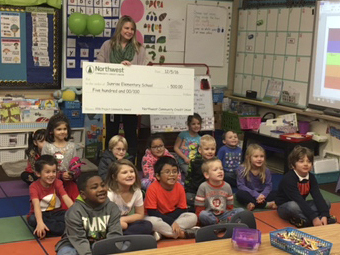 Teacher Jane Bauserman (pictured above), Liberty Elementary School, is creating a listening center for her kindergarten class to use during reading time. Sunrise Elementary School’s Shawna Mole is jump starting STEM learning by buying materials to add to her kindergarten class’ Exploration Station. 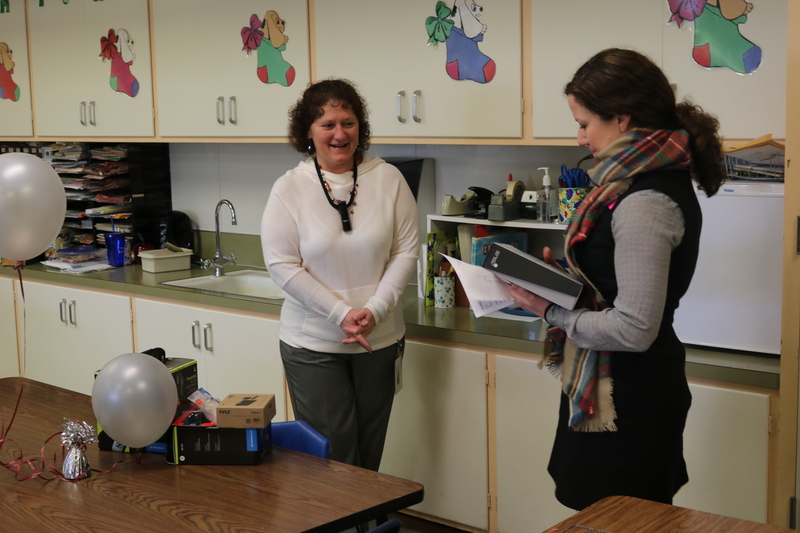 Tangent Elementary School teacher Jeanie Mowery received materials to allow her students to access the classroom’s audio book collection.